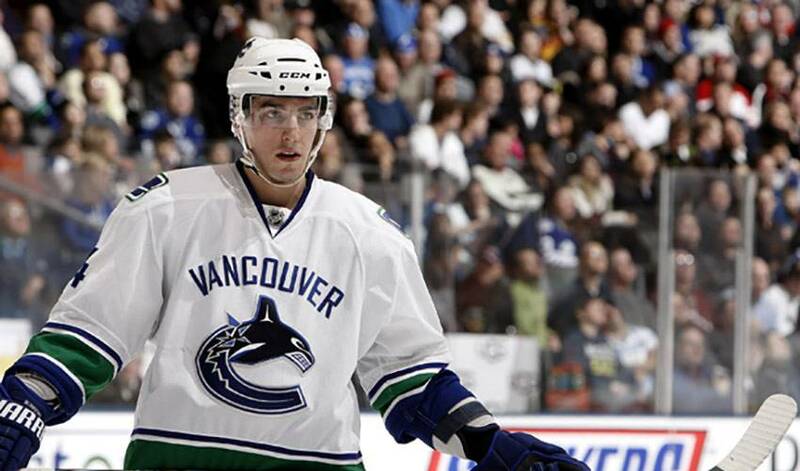 Alex Burrows and the Vancouver Canucks have been squarely in the spotlight of the hockey world since the beginning of 2010. Since the start of January, it seems that Alex's New Year's resolution has been to score goals in bunches and be one of the game's hottest scorers. The proof is certainly, as they say, in the pudding. Burrows became the first Canuck to score three goals in consecutive games since Petri Skriko did it during the 1986-87 season, recording the feat in a 4-0 blanking of the Phoenix Coyotes on January 7. Burrows' production has lead the Canucks to their strong showing recently, as they have climbed the ladder in the Western Conference and narrowed the gap in the Northwest Division standings, going 7-1-2 in their last ten. The only loss over that time span being a controversial 4-2 defeat to Nashville on February 11th, a game that Burrows had two goals and a much-written about 17 minutes in penalties. So was his goal heading into 2010 to light the lamp seemingly at will? Those linemates would be the Sedin twins, Henrik, the league's leading scorer to date, and Daniel, who, despite injuries, is enjoying a brilliant 2009-10 campaign. For Burrows, playing alongside the Swedes is a dream come true. Though he might downplay his goal rush of late, Burrows, who played two seasons of major junior in the Quebec Major Junior Hockey League (QMJHL) with the Shawinigan Cataractes from 2000-02, has been huge for a Vancouver team who have their sights set on winning the Stanley Cup. Seeing the team solidify themselves as legitimate contenders is Burrows' greatest joy. And his teammates couldn't be happier for him. Well, sort of. What does Burrows have to contend with? Burrows certainly doesn't mind the good-natured ribbing he gets, nor does he mind the compliments he receives. But he's not about to allow back-to-back hat tricks to go to his head either. Vancouver fans have definitely taken notice of Burrows' good roll. Whether he's out shopping or grabbing a coffee, the winger does not go unnoticed. All the more reason Burrows and the rest of his teammates would love to deliver a championship to the city. While the season, both for Burrows and the Canucks, has been a rewarding one to date, the man who won the 2008 Fred J. Hume Award as Vancouver's unsung hero and the 2008 and 2009 award as the team's most exciting player isn't going to dwell on his recent accomplishments. It might be easier said than done all things considered, but Burrows, who had 28 goals and 51 points in 2008-09, isn't too worried. And if he happens to net a few more hat tricks along the way, well, that would suit Burrows just fine.